We all know having a job is for suckers. It’s much better to seduce a rich person and take their money. After all, why should they be rich while others languish in poverty? It isn’t fair. Now, many people accuse women of being gold diggers, but that’s old-fashioned thinking. Men can be just as effective as women, and we’ll show you how. 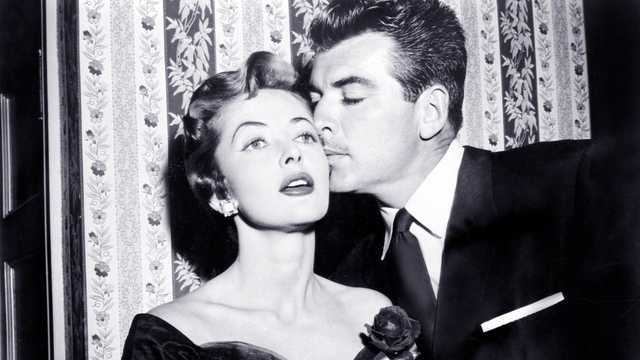 Our guide today is the 1955 film noir The Big Bluff, starring Martha Vickers as the mark and John Bromfield as the homme fatale, a man who uses his looks and charm to manipulate women. Bromfield is a slick fellow who frequents a swanky Los Angeles hotel. Here he meets wealthy heiress and successful businesswoman Martha Vickers. Bromfield quickly calculates Vickers’s Net Worth and immediately swings into action. Here’s a chance to score a few million bucks – and because he’s handsome and charming, Vickers will gladly hand it over. It’s a Win-Win! 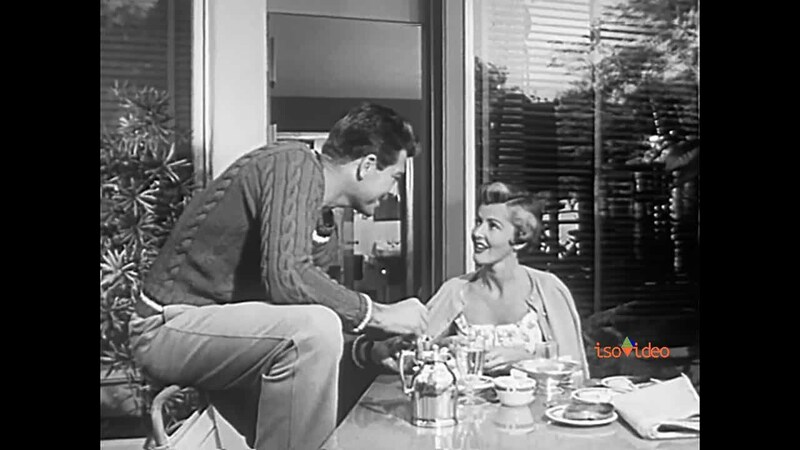 He also can’t wait to tell his girlfriend (Rosemarie Stack), a woman ready to leave her husband as soon as Bromfield gets his mitts on the dough. Many would call Bromfield a scheming gadabout, but that’s not quite true. He has Responsibilities and Financial Goals; he’s not doing this for a lark. Is it his fault women are dazzled and beguiled by him? But get this: Vickers has been diagnosed with a heart condition, and has only a few months Left. Bromfield can’t believe his luck when he discovers this medical tidbit. Not only that, Vickers herself insists on marrying him! Now he can live on Vickers’s resources while keeping girlfriend Stack waiting on the Other Line. Bromfield’s job is to keep Vickers amused as he nudges her towards the grave, all the while voicing concerns about her health. It looks easy, but it ain’t. In fact, it’s a lot of work. So, in the end, nobody can say he didn’t earn the moola. Here are a few things to learn from Bromfield’s character. You must be carefully coiffed at all times, including shoes, hair and eyebrows. Even if you’ve just finished a gruelling tennis match, you can never look sweaty and dishevelled. Rich people don’t sweat. Show your self-deprecating side. Maybe your pickup lines are a little cheesy, but laughing about it will convince the mark to like you. Play the victim. When Vickers’s assistant accuses Bromfield of Riding Roughshod over Vickers’s health, Bromfield immediately fires back. “You make it sound like [her] illness is my fault,” he whines, which is not what was said, or even implied. It doesn’t matter. You’ve got to make people afraid of accusing you. Invent a glamorous identity, the wealthier the better. You don’t want the mark to suspect you need her money. Look at Bromfield: he claims to be a wealthy businessman from South America. It’s brilliant because no one can verify it! Isolate the mark. Is one of her friends suspicious of you? Tell the mark about her horrible friend – and make it look like it pains you to do so. Then employ #3 above. Remember: You’re not just another pretty face. Alas, for all of Bromfield’s carefully-laid plans, there is one thing nobody counted on, not Bromfield and certainly not we, the audience. Vickers regains her health. Her marriage to Bromfield improves her condition so much she’s overcome her dire prognosis. Barring any unforeseen accident, the doctor says she’ll live for decades. Naturally this is unpleasant news for Bromfield, and he must develop a more efficient Plan. Nobody wanted this to be uglier than necessary, but Bromfield is left with No Other Choice. That’s all we’re going to tell you. You’ll have to watch the film for yourself to see what happens. And if you’re planning to become an homme fatale, take note of John Bromfield’s superb performance. 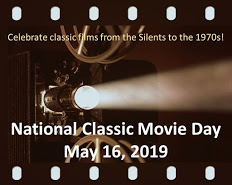 This post is part of the CMBA 2019 SPRING BLOGATHON. The Big Bluff: starring John Bromfield, Martha Vickers, Robert Hutton. Directed by W. Lee Wilder. Written by Fred Freiberger. United Artists, 1955, B&W, 71 mins. Previous The Babylonian Arch on Hollywood Blvd. Thanks, Gill! There are a lot of twists in this film, especially in the last 20 minutes. Does sound pretty cool from your description. Will have to check it out in time for your next Villains blogathon, he sounds a real cad. Very well written. So glib and charming.Like a suave homme fatale. Such a tantalizing description of the film. I will look for THE BIG BLUFF. And #1 is paramount- Never let them see you sweat. Haha! You’ve got that right – you can never let ’em see you sweat. Such work goes into being fatally fabulous, doesn’t it? Loved this post – so witty and smart. Thanks for highlighting a film I would like to see. Those noir baddies are the best, aren’t they? Haha! You said it! A lot of work does go into being fatally fabulous. Your guide to and for the Homme Fatale will be indispensable to future generations of both prey and predator. Well done! Thanks! I was both annoyed and fascinated by John Bromfield’s character. He is SO GOOD in this role. I am admitted not familiar with this film, but wow! You make it sound like a must see. I have to see it. Thanks for joining in on the blogathon, and for the introduction to this film. John, you have to see this if only for John Bromfield’s performance. He is pitch perfect. Also: Thanks for organizing this blogathon. It’s a big job, and we all really appreciate it. I agree with the other commenters: a witty post, An intriguing film noir that i have not yet seen. Thanks for the tip! Debbi, YOU must see this. And I’d love to know what you think. For the last few months I have found myself longing to watch more films noirs. Coincidence? I think not! Thank you for spreading the love around. I’ll definitely check out The Big Bluff. The basic premise — an already-romantically-involved character pretending to love a dying rich person solely to get their money — sounds a lot like Days of Heaven, as well as The Wings of the Dove, from what I remember of that. It would be fascinating to see it done noir-style. Thanks for writing about this one! The Big Bluff may not be the best noir example of the marrying-an-ill-person kind of story, but it’s still worth watching, I think, if only for John Bromfield’s performance. He is a perfect homme fatale. Haha love these posts of yours! Thanks! I hope you get the chance to see it. Our homme fatale Bromfield is worth the price of admission. Ha, great writeup of an unfortunately very mediocre movie. I saw it on youtube also and had such high hopes but it really fell flat. Lee Wilder had nothing on Billy. Thanks Margot! Even though the ending was cheesy and, frankly, sloppy, I really liked John Bromfield’s performance. It’s not the best movie ever made, but John Bromfield as the homme fatale is definitely worth it. Really, Bromfield’s character is almost too much in the grooming department – but that’s half the fun. I’ll be sure to look for this one after your fabulous introduction.He looks like a perfectly slimy homme fatale. Oh yes, he is perfectly slimy. That’s a great description. Hope you enjoy the film if you get the chance to see it. I always admire movies that manipulate the viewer and this sounds like one. I mean, one has to admire Bromfield’s ambition, meticulous planning, and acting. It’s not his fault that his plan goes astray and he has to resort to more vulgar methods of obtaining his wife’s fortune! Haha! You said it, Rick. He’s an ambitious man, caught in circumstances not of his own making. You’re welcome! Can’t wait to read your responses to the questions! 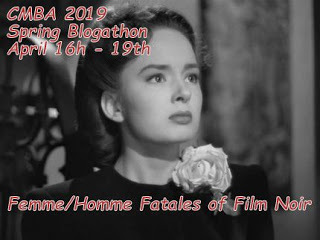 At first I couldn’t think of one homme fatale, but with those five rules, I can certainly name a few in both film, TV and real life! This film sounds pretty good, and I’m curious to learn what happens next. Admittedly, this isn’t the best film ever made, but it is plenty entertaining. Plus, John Bromfield is pitch perfect here. Extraordinarily entertaining as always. I LOVE the lessons learned part. Gotta take notes! Haha! John Bromfield is an excellent instructor. A wonderful post. And coiffed is such a fab word. Agreed! Coiffed is a terrific word, and I don’t get why people use it so infrequently. Such a fun post! I can learn from your pithy style 🙂 Also, I’m not sure I’ve seen John Bromfield in anything, so this sounds like a good one to start! John Bromfield is very good here. This may not be the best film in the world, but he certainly gives a person their money’s worth. Thanks for stopping by! Ah, the delicious irony of this one! You said it, and I didn’t include half the ironies in this film. Not the best film noir ever made, but it sure is a wild ride.